Last week I posted A Can Of Worms: The Yak-52 Qualitative Training Exercise in which a test pilot instructor lost his life during a standard training exercise. To recap, a Yak-52 suffered an engine failure, probably caused by the fuel pump. There were two pilots in the aircraft. In the back was the commander, who was the pilot in command and the operator of the aircraft, which he had sourced for the military training exercise. The Front Seat Pilot was a test pilot instructor who was taking part in a Qualitative Evaluation sortie with the commander. The engine failure led to a forced landing, however on final approach the Yak-52 stalled and crashed into the ground. The Front Seat Pilot was thrown from the aircraft and killed. The commander was found severely injured in the back seat; he has since recovered. The incident took place at MoD (Ministry of Defence) Boscombe Down, a military test and evaluation airfield located in Salisbury (not far from Stonehenge, actually). It is operated by QinetiQ on behalf of the Ministry of Defence. QinetiQ is a defence contractor. They have a long term partnering agreement with the Ministry of Defence to operate Boscombe Down Aerodrome. As a part of this agreement, they perform services to ensure the continued availability of test, evaluation and training capabilities and services to the armed services at the MOD sites which they operate. The Aircraft Test and Evaluation Centre (ATEC), formed by RAF Air Command and QinetiQ, conduct the testing and evaluation of military aircraft for all arms of the British Armed Forces. Empire Test Pilot School is a mixture of military and QinetiQ employees who offer training services at Boscombe Down. They offer a graduate course for Test Pilot Students and Flight Test Engineer Students, which teaches the philosophy and skills needed for experimental test flying. The Qualitative Evaluation model is used to train test pilots to identify the specific characteristics of individual aircraft. The point is that the test pilots fly on planes they haven’t flown before, which have handling characteristics that they aren’t already used to. A Qualitative Evaluation flight thus needs to be conducted on an aircraft that is unfamiliar to the pilot. In order to offer Qualitative Evaluation, the test school needs access to aircraft which aren’t part of the standard fleet. In order to offer the students flights in unusual conditions, they contract aircraft through third parties. These aircraft can be either military or civilian and can have any national registration. The Yakovlev Yak-52 (Яковлев Як-52) is a Soviet two-seater military trainer that, it is safe to assume, most pilots in the UK would be unaccustomed to. The Yak-52 has inverted fuel and oil systems, which means the aircraft can fly upside down for as long as two minutes, drawing fuel from a reserve tank. It’s considered an easy plane to fly, able to roll at 180° per second to the right. The airframe can take +7 and -5 Gs. The Yak-52 is capable of flying every aerobatic manoeuvre permitted in aerobatic competitions. The empty aircraft weighs only 998 kg (2,200 lb), which is what makes it so agile for aerobatics. I mentioned this last week but it’s important for understanding the situation. In the 1990s, many Yak-52s were exported to the west: there may be more in the US, UK and Australia now than there are left in Russia. The Yak-52 has many clear differences in design philosophy and cockipit system. The test pilots and engineers were unlikely to be familiar with the characteristics of the aircraft. The Yak-52 never received civil or military type certification in the UK, with many imports from the time operating on the Russian or Lithuanian register. In 2002, the British CAA required that YAK’s in the UK be operated under a Permit to Fly and registered in the UK – as of January 2017, there were 40 YAK-52s on the UK register, including G-YAKB. So, now all the pieces are in place. The Empire Test Pilot School contracted a third-party company to source an aircraft and a qualified flying instructor for the fixed wing graduate course. For the past seven years, this sub-contractor had sourced a Yak-52 and contracted the commander as Aircraft Commander and Safety Pilot. Empire Test School then changed to a different sub-contractor. At that time, Empire Test School asked the commander if he would continue to offer his services through the new sub-contractor. The new sub-contractor did not operate Yak-52s, so they sub-sub-contracted (still with me here?) the commander to supply the aircraft as a part of his service. The commander contacted a private owner of a Yak-52, registered G-YAKB and the two agreed terms over email. G-YAKB did not have a Certificate of Airworthiness but, as is typical of a Yak-52 in the UK, it was operated a Permit to Fly. G-YAKB was manufactured in 1992, so in 2013, G-YAKB was over 20 years old, exceeding the initial lifetime of the airframe. The aircraft underwent a CAA-approved lifetime extension inspection to extend its operating life. The important thing to know here is that the CAA CAP 747 Mandatory requirements for Airworthiness allows engines in aircraft which are only used for private flying to continue in service indefinitely. The M-14P engine had been fitted during production twenty-four years ago and had never been overhauled. The M-14P has a 2,250 hours finite operating life with an overhaul at 750 hours or six years. The hours logged in the engine log book was not up-to-date; however at the annual service in February 2016, the hours were certified as 495.13 hours. The commander entered into a contract with the private owner of the aircraft, thus the commander is considered to have been the aircraft operator as well as the Pilot in Command. The students at the Empire Test Pilot School for the 2016 session consisted of test pilots and flight test engineers. They were given a general briefing on the Yak-52 the week before the commander arrived. He and an instructor flew the aircraft from Boscombe Down on the 3rd of July. The following day, the commander and the instructor flew G-YAKB in the local area to familiarise the commander with the local area and the expectations for the Qualitative Evaluation sortie. After the flight, the commander gave a 90-minute briefing on the aircraft and the sortie at the school. The briefing included technical details, aircraft handling and safety procedures for the Yak-52. It was a mandatory briefing for all students and test pilot instructors. Afterwards, each student stood in turn on the wing of G-YAKB and the commander briefed them on the cockpit. The Yak-52 didn’t have a checklist in the aircraft. As it was operating under a Permit to Fly, it wasn’t required to have a checklist. The commander stated that he had committed the aircraft’s normal and emergency procedures to memory. It seems likely (but isn’t stated) that he went over the checklist and procedure with the students as a part of the 90-minute briefing. The Yak-52 has two cockpits, front and back, and in G-YAKB, the two cockpits were not set up the same. The fuel primer handle, for example, was only located in the front cockpit so only the front seat occupant could operate this control. 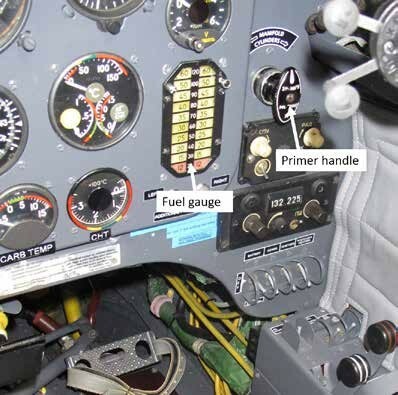 The rear cockpit was also missing various instruments, including the Manifold Air Pressure gauge. 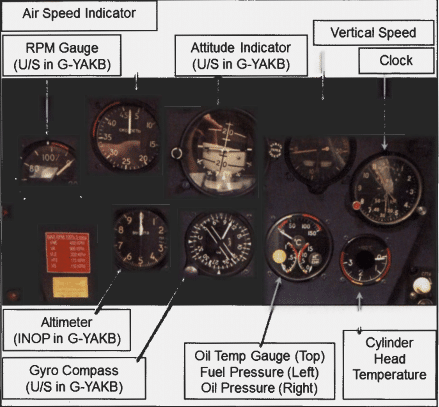 The rear cockpit altimeter was placarded as inoperative, having failed an accuracy test. The rear cockpit also suffered from decreased visibility. As a result, flying the aircraft from the rear cockpit was clearly more difficult than flying from the front cockpit. There were issues with the intercom and after the first sorties, the students gave up on the hard-shell helmet and instead were offered a headset in order to improve communications. The students noted various other ‘unserviceabilities’ in the aircraft, for example the front and rear rpm gauges did not work properly, often indicating zero or even running backwards. They also noted that the rear cockpit attitude indicator wasn’t displaying a steady, usable horizon. The front and rear heading indicators had been unserviceable for some time, although both cockpits had wet compasses. Not any of these faults were officially reported. By now, I think there’s a key question that needs answering: Was it reasonable to use a Yak-52 in this condition for the Qualitative Evaluation sorties? The Yak-52 and its M-14P engine isn’t certified to any international standard. This is why the aircraft is operated on a Permit to Fly. Aircraft with a Permit to Fly have by definition a higher risk than an aircraft operating on a Certificate of Airworthness. The Permit to Fly specifically only allows for flying displays and the practice associated with those displays, test flights and positioning flights. The owner of the aircraft knew the regulations associated with a Permit to Fly but didn’t think it was relevant. It wasn’t his problem to verify their intended use. The commander, acting as the operator and as the Pilot in Command, believed that the Qualitative Evaluation flights were considered demonstration flights, not instructional flights, and thus were acceptable under the Permit to Fly. The Empire Test Pilot School didn’t know that the aircraft was on a Permit to Fly. They said that they thought it had a Certificate of Airworthiness and thus there was no limitation for its use for the training. It never occured to them that the aircraft might require special CAA approval for its use in their Qualitative Evaluation module. The third-party contractor hired by the school and who held the contract with the commander understood that the Yak-52 did not have a Certificate of Airworthiness. They believed that the aircraft could do aerial work uder the Permit to Fly. It doesn’t matter what type of flight the Qualitative Evaluation sorties were considered to be, as it happens. Under the rules of the Permit to Fly, it cannot carry more than the minimum flight crew. The minimum crew for G-YAKB (and for every other Yak-52) is one. No additional persons may be carried, even if they are acting as flight crew, unless special permission is obtained from the CAA. Thus, every flight carried out by the commander, from the original repositioning to the final crash, required special CAA permission. The CAA are very clear on this point: they have never received an application for any Yak-52 for aerial work or to carry additional persons. It’s never happened. It boggles the mind: How did the Ministry of Defence get involved in training flights in an aircraft that was not legal to fly? 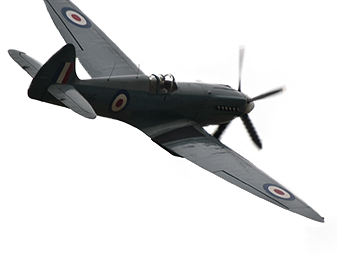 When the Yak-52 was contracted for the Qualitative Evaluation, the aircraft’s Permit to Fly and the Certificate of Validity were passed to QinetiQ, who operate Boscombe Down Aerodrome. The staff who received the paperwork were not aware of the difference between a Permit to Fly and a Certificate of Airworthiness and had no idea that there was an issue. At no point was what the military call a SQEP (Suitably Qualified and Experienced Person) asked to look at the documents. The QinetiQ Airworthiness staff would have spotted the problem immediately but no one actually saw any reason to pass the documents to them for verification. The commander believed that the Qualitative Evaluation flights were permitted under the Permit to Fly without having read the legislation, basing his assumption on hearsay and that he knew that Yak-52s had been used previously for Qualitative Evaluation flights. The owner, who understood the restrictions of the Permit to Fly, assumed that it wasn’t an issue as the flights were being conducted by the military, presumably of the belief that the military can do what it wants. The Ministry of Defence chain of command were reliant on QinetiQ Airworthiness as to whether the aircraft was airworthy. QinetiQ Procurement presumed that a Permit to Fly was good enough (or may have even been told that this was the case) and didn’t follow up. QinetiQ Airworthiness had no reason to chase; they presumed that if they weren’t contacted, then the Yak-52 had been delivered in an airworthy condition. In the same way, Empire Test Pilot School were under the impression that the aircraft had a Certificate of Airworthiness as no one had reported otherwise. As it happens, the owner was lax in one respect; the aircraft should have been fitted with a warning panel. THIS AIRCRAFT HAS NOT BEEN SHOWN TO COMPLY WITH CIVIL SAFETY STANDARDS FOR COMMERCIAL PASSENGER FLIGHTS. IT IS ILLEGAL TO CARRY PASSENGERS ON THIS AIRCRAFT IN EXCHANGE FOR MONEY, GOODS OR SERVICES. However, I can’t see that this would have made a difference. The test pilot and flight engineer students would have considered themselves to be flight crew, not passengers. The flights were not commercial passenger flights, they were (depending on who you asked) instructional or demonstration flights. The restrictions made by the Permit to Fly were too subtle to be covered effectively with a generic sign. The further issue with the Yak-52 was the condition of the engine, which had gone 24 years without an overhaul. According to the original Russian engine logbook, the first engine overhaul should have been conducted at six years (or 750 hours, whichever came first). At this first engine overhaul, the ‘overhaul organisation’ (mechanic?) would decide on the timing for the next required overhaul, up to a maximum of six years. The CAA allow an engine to continue in service indefinitely, specifically if it is only used for private flying. An indefinite timeline for an engine overhaul would not be an option for an aircraft used for aerial work. A fixed term would normally be approved if warranted. But as no Yak-52 operator has ever approached the CAA for permissoin to do aerial work, there’s no reference to what alternative life, if any, would be approved. It seems clear, however, that they would not approve twenty-four years for the initial period. Meanwhile, no one involved with the Qualitative Evaluation ever reviewed the aircraft log books or considered the condition of the engine. 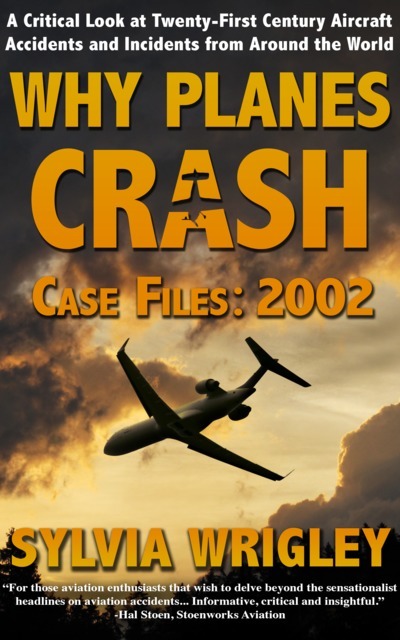 Focusing on the actual accident, one issue that came up was that the aircraft didn’t have a checklist. This is because, again, a checklist isn’t required on a Permit to Fly. This is one of the most direct impacts of the Permit to Fly on the crash. The Front Seat Pilot didn’t have any reference for fault diagnosis or emergency drills once the engine cut out. He was not familiar with the aircraft and it is unclear how much of a useful briefing he received. He had no checklist or any other resources to support him. Worse, the checklist as memorised by the commander was not correct. It’s possible, or even likely, that this single point is why they were unable to restart the engine. The cause of the loss of engine power could not be determined, but the reported symptoms were consistent with a fuel system problem. Attempts to restart the engine were unsuccessful and the commander committed to a forced landing from about 1,100 ft agl. Although the commander’s initial intention was to force land in a field, he became aware of a farm strip and probably made a late change of decision to land on the strip. This late decision, and the subsequent manoeuvres in the attempt to reach the strip, ultimately resulted in an unsuccessful forced landing and the aircraft struck the ground in a steeply left banked attitude. They were in an aircraft that shouldn’t be used for training, carrying persons that were not permitted to be carried without special permission. If they had requested permission, the state of the engine would have been highlighted. Instead, everyone seemed to have been convinced that it was someone else’s problems. Meanwhile, the sorties were organized with unclear briefings and no checklists, leading to a complete reliance to the commander who was in the backseat. The commander had never flown a forced landing from the backseat and never attempted to land in a field, which must have influenced him to push to make it to a runway – first Boscombe Down and then the landing strip in the field. Only the minimum required instruments were available to them and these were split across the two cockpits. Forget about CRM: the two pilots could hardly work together as a team. And finally, once the landing had gone wrong and the Yak-52 hit the ground, the seat belts snapped under pressure, having never been replaced since the aircraft had been built. The Service Inquiry focused on the organisational and operational aspects. 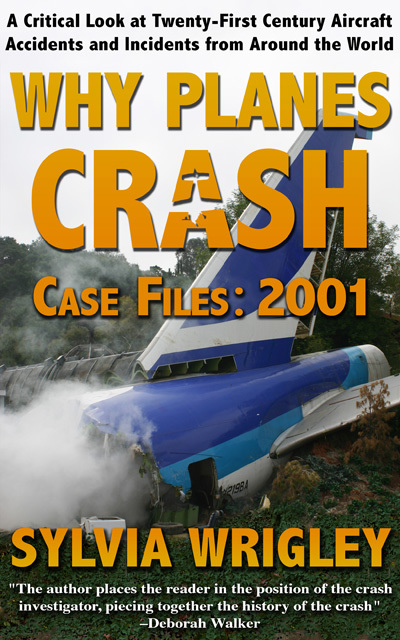 As they were unable to determine whether the aircraft was under control when it impacted the ground (as opposed to having stalled), the primary causal factor was determined to be the failed Forced Landing attempt following an unexplained loss of thrust. I have not quoted the detail of the rest of the conclusions as this is already overlong, but if you are interested, you should start at page 79 of the Service Inquiry. Of particular interest are the initial contributory factors. The PIC operated an aircraft with recurring malfunctions, which were considered by ETPS Supervisors, in restrospect, and the Panel to have reduced Flight Safety…. The Panel concluded that flight with multiple instrumentation failures was a Contributory Factor. The PIC’s lack of recent Practice Forced Landings and currency reduced his ability to carry out a successful Forced Landing and was a Contributory Factor. The plan to delegate landing to an unqualified pilot in a Forced Landing made an unsuccessful outcome more likely and in the opinoion of the Panel was a Contributory Factor. Despite adequate time to plan and prepare for a Yak-52 sortie being available the opportunity was not taken. As a result the crew’s preparation was inadequate and probably omitted a thorough safety brief, with the result that the [Front Seat Pilot] was unable to contribute meaningfully to fault diagnosis or emergency handling. The panel concluded that inadequate time spent in preparation, planning and briefing was a Contributory Factor. The accident crew continued the glide descent to the east having realised that a Forced Landing was likely, which reduced the options of landing surfaces available to them. 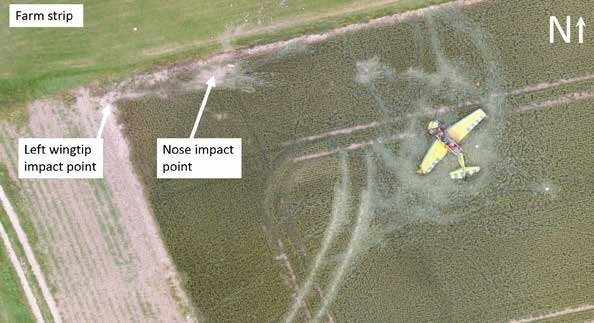 The decision to attempt a landing on the farm strip was also listed as a Contributory Factor. There are two aggravating factors, which is not a term I’ve seen before, specifically referencing the state of the seatbelts and that neither crew member was wearing a suitable helmet. And finally, there’s a selection of other factors, in case you think anyone got off too lightly, which runs from Risk Assessment to the lack of planned airworthiness to contractual arrangements to lack of oversight to a bunch of acronyms which I don’t understand. Whilst letters of appointment were issued for DDH and ODH the Yak QE was not covered by either. There was no AM(MF), DDH or ODH for QE activity conducted in G-YAKB which was an Other Factor. The list of other factors starts at a and barrels straight past z to aa and ab. 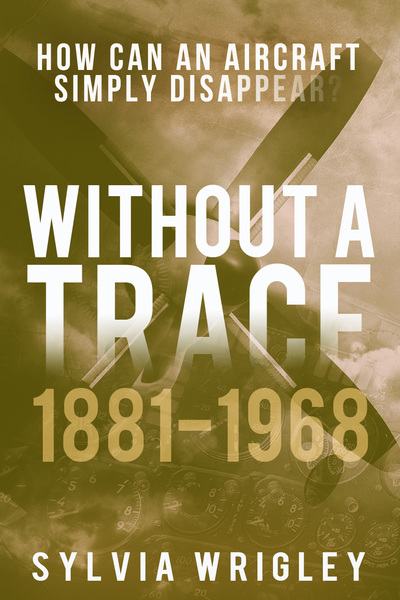 This list deals with all the aspects of the management that allowed the test school to organise sorties in an aircraft which was neither legally allowed to operate the flights nor in a condition to safely offer them. It’s an overwhelming list. I think often it’s easy to complain about the red tape and documentation and bureaucracy around flying. 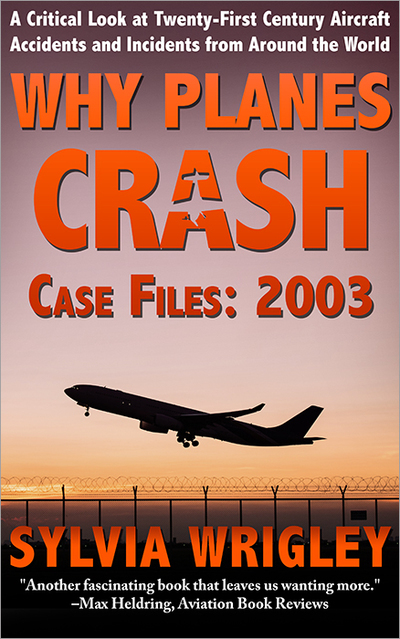 However, this case is a strong example of how the lack of checking and double-checking, effectively bypassing of red tape, led directly to a tragic crash. As a postscript, you might have noticed something interesting that came out of the military investigation. The CAA stated that they had never been asked for permission for a Yak-52 to conduct aerial work or to carry extra persons. This means that for the previous years when the sub-contractor was organising the Yak-52s for the Qualitative Evaluation, they must also have been under a Permit to Fly and without the required permissions. What an utter goat-roping! Everybody assuming that everything was OK since it had been OK (actually just accepted) before, and such a huge pileup of errors that it seems a mere dozen or so (instead the several dozen mentioned) could have been survived. You guess that Boscombe personal were “walking on tiptoes”; was nobody censured, demoted, barred as a contractor, …? (I’m comparing this to the smaller chain of errors that led to the Kansas City Hyatt disaster — there were no criminal guilty verdicts, but at least the engineers who designed the part that collapsed without calculating whether it was sufficient-to-purpose (it wasn’t) lost their licenses.) Test pilots usually have an image of daring, but I wonder whether there were any conversations afterward about spreading word against Empire on the grounds that they took unreasonable risks with their students’ lives; are there no other test pilot schools in the UK (or at least none acceptable to the MoD)? Typo fixed, thanks. Because it’s a military operation, I suspect finding out the details of the aftermath would be difficult. But certainly the Service Inquiry had a LOT to say on the issue, so it definitely isn’t a case of carry-on-as-normal. This accident is a reminder that regulations and procedures are only effective when specific individuals know for certain that they are responsible for enforcing them and that they will face consequences if they fail to do so. If the structures of control and ownership are so complicated that nobody is sure who is responsible for what, or if there are no consequences for failing to take responsibility, then the regulations might as well not exist. It would also be interesting to know more about how the students reacted to being given an aircraft with several faulty instruments. Did they think that it was part of the test? Or were they unwilling to complain about sub-standard equipment in case it was held against them? I agree, the complicated structure really led everyone to think someone else had everything under control. I found it interesting that although the students noted the issues before the accident flight, no one actually reported the faulty instruments, so nothing was done. “a checklist isn’t required on a Permit to Fry.” ouch. I’m quite surprised by their guilty plea, to be honest. An AM is possibly an Aviation Machinist, an AMMF would be an Aviation Machinist’s Mate (Aviation Flight Engineer). So what they seem to be saying is either that the flight school should have had someone be responsible for the airworthiness of the YAK, or at least have someone actually look after it, but didn’t; or that while they did have someone, that person wasn’t responsible for the QE flight as it wasn’t military but civil; I’m not sure. Guessing AM(MF) is actually Accountable Manager (Military Flying), based on a quick Altavista search. Don’t really know what that is, but it seems more likely to belong as an alternative to the DDH and ODH roles you’ve identified than a machinist’s mate. I am surprised at the chain of errors that led to this fatal accident, and having worked some with US military aviators, I am surprised at the lack of double checking and documentation involved. There’s a big uproar when rules aren’t followed but sometimes “everyone in the industry” is doing the same. I don’t know the UK scene for Yaks and others on Permits to Fly, but: Have all the Yak’s in the UK really only been operated with 1 aboard? Never with someone else? (“But he’s a pilot, surely that qualifies as allowed crew?”) I bet those Permit to Fly restrictions, they get interpreted extremely liberally so that the planes can actually be used in a more normal way, like people expect to do with other light aircraft. Or for example, do the engines really all get overhauls every 6 years, totally unlike most light piston aircraft? I’m skeptical. Reminds me a bit of findings from the Hawker Hunter air display crash — With the restrictive rules on servicing ex-military aircraft, it is easy to skip some rules about which expensive, hard to source parts have to be replaced every few years — if you want to keep them flying at all. I used to own and fly a Yak18T – the four seater Yak with the ubiquitous M14P engine. I operated it on the Russian register until the CAA ruled that 18T’s in the UK had to go onto the Hungarian register and would not be allowed to be used on the Permit to fly basis like the Yak 50’s and 52’s. These Yaks are very complex aircraft mechanically, with many systems being air operated. Only one mechanical fuel pump and a primer pump that probably wouldn’t keep the fan turning if the gear pump failed. Fabulous machine to fly and despite being fully aerobatic, kind to its pilot providing he/she really understood its mechanical systems. But if things started to go pear shaped, most pilots would have wished they had taken up Tiddlywinks as a hobby. I’m retired from flying now, having sold my 18T rather than having to trundle over to Hungary every year for its Annual. But looking back on my own experiences the tragic Yak 52 accident was inevitable due to so many cockpit instrument defects, slack attention to maintenance and engine overhaul requirements. Just for the record, I was never given any flight training on type when I bought my Yak. It was delivered by a couple of Russian pilots, who handed it over to me at Kemble and legged it in a waiting taxi. In my favour was the fact that I had read the translated pilots notes for weeks beforehand and that I had a very good engineering background. My co-pilot was Richard Cole, who is one of the most skilled private pilots I know, so between us, we cranked the beast up and had an uneventful flight and landing at Haverfordwest.